So let’s say you’re about to buy yourself a shiny new gaming PC. You got all the parts in your shopping cart and just about to your checkout them and get them delivered to your address. But wait, what about the operating system. Well, Windows 10 seems to be a perfect choice. Today majority of the famous game titles are compatible with this OS. But think again, are you really sure that you want to spend $100 for an OS. Surely there’s going to be a better way. Well, guess what there is one. The free, open-source operating system Linux be the answer to all your troubles. While Microsoft’s Windows holds a commanding 90% market share in the desktop and laptop PCs space, the various flavors or distributions of Linux only command above 3%. So, it shouldn’t surprise you, what almost every developer focus their efforts on Microsoft Windows. But that doesn’t necessarily mean that you need to be bound by Microsoft’s shackles to play your favorite games. Although gaming on Linux distros does require a little bit of software trick oration, trust me it’s not as difficult as it used to be when you had to compile your own code and what not to even install a single application. This guide is meant for the newbie user who is unfamiliar with Linux platform and so it’s quite in-depth. I have tried to explain each and every step in as much details as possible. This guide is divided into 4 different sections. Each of them will help you accomplish one essential step except the last section which has total 11 steps. You must follow every single step properly if you are willing to play pc games on Linux. And one more important note, just for the sake of this tutorial I will show you how to install Mirror’s Edge game on the Ubuntu system. If you are a gamer or a professional who is willing to use Linux for gaming, then you must choose Ubuntu. Ubuntu is well known and well maintained Linux distro. It has millions of worldwide users and gets regular security patches. Furthermore, this platform is known for its compatibility with a vast array of system components. In case your system component or device is not supported, Ubuntu will automatically try to install the most appropriate drivers for you, much like Microsoft Windows. But remember that most of these drivers are open source and are way more stable than proprietary drivers, but they typically don’t offer the same level of performance for gaming. So grab the appropriate proprietary Linux drivers for your graphics card from Nvidia or AMD’s website. Though it should be noted; I would strongly recommend going with Nvidia. The reason for which is that there is currently a community consensus the Nvidia plays more nicely with Linux offering in general, higher frame rates and better compatibility than AMD. However, if you really want a card from the red team, AMD does also have the graphics drivers for Linux. There are open source drivers that support OpenGL rendering for AMD that you may have better luck. Once you have got all proper drivers installed, you’re ready to try to get your game up and running. So now I am guessing that you have successfully installed your operating system and all essential gaming drivers. Now if you want to dive directly into gaming then you will have to first find games that are coded to run on Linux natively. This can be done by downloading steam for Linux and by browsing the library just as you would on Windows platform. Now as you might already know, finding the game on steam is quite time-consuming and that will most probably keep you busy for a while. But remember that the number of games available for Linux is far too low when compared to what is available for the various version of Microsoft’s Windows platform. So this leads us to our next step. 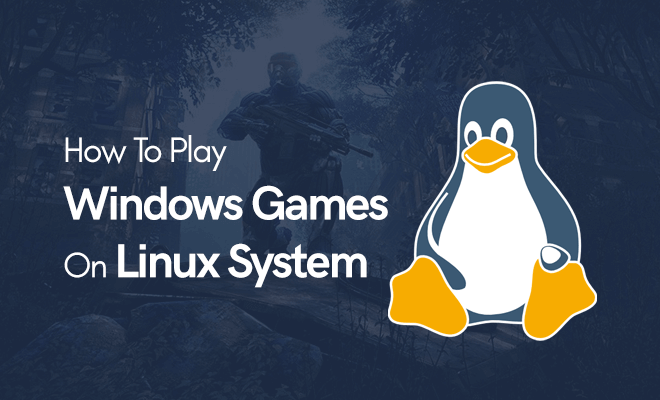 So eventually, you’ll probably want to configure your Linux PC to run Windows games. The best possible way to do this is by installing what is called a compatibility layer. It serves as a go-between your Windows game and your Linux system. This enables the game core to run on the windows layer but by harnessing the power of Linux system. Conceptually this sounds an awful idea, lot like an emulator. But compatibility layers allow for much quicker performance than emulators. Emulators have to translate every processor instruction and thus their response time is quite high. In fact, the most famous Windows compatibility layer for Linux platform is called Wine, and it’s an acronym for “wine is not an emulator”. Funny, right. Wine is a powerful and customisable tool, but it doesn’t natively support a GUI. It basically means that you have a helicopter engine but no way to directly harness its power. Below is the code snippet you need to type or copy-paste in Ubuntu terminal in order to install Wine on your system. So, now your very next step is to grab one of the available fronts ends for it. Playonlinux is one such popular option that will make managing your Windows games quite a bit easier. Below is the code snippet you can use to install this tool on your system. One another way to install this application is by downloading the .deb file directly from the official page. 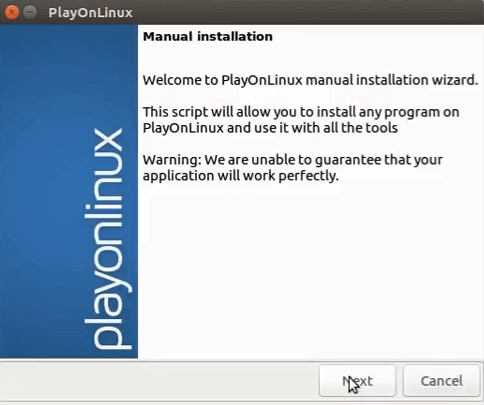 Furthermore, you can read the official advanced tutorial on how to properly configure playonlinux. Playonlinux supports various popular games including Crysis, Assassins Creed, Bioshock, EVE Online, Fallout 3 and hundreds of others. 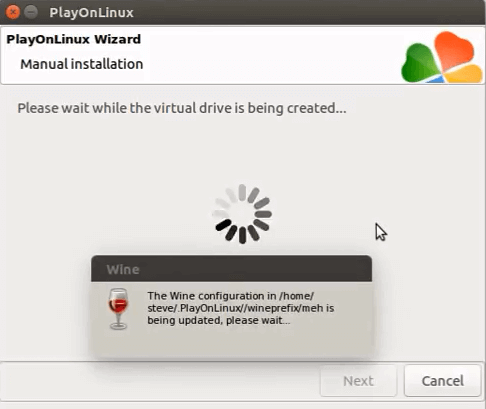 But in case you face any trouble while installing or running it, you can always head over to WineHQ.org. The official Wine documentation repo has individual pages for popular game titles and applications. Each page consists doesn’t only include tweaks or extras that you need but also lists all sort of known bugs faced by other users to give you an idea of how the game you’re interested in will run. 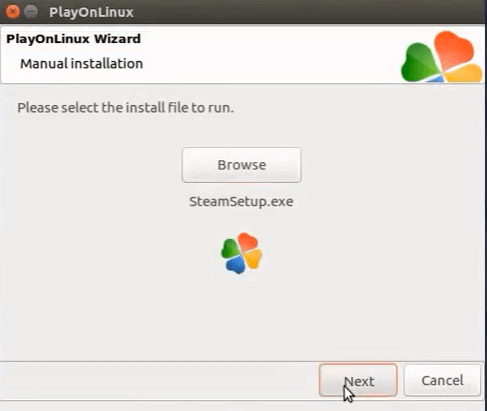 Just to make sure that this tutorial is failproof, if you feel that your system requires any additional components for games that playonlinux didn’t install for you, then you can try another application. This application is called Winetricks and it will display a list of packages that you can choose to install. Match the ones you choose to download and compare it to the ones that are listed on the games Wine HQ page and give it a shot. This is the final step you need to follow. 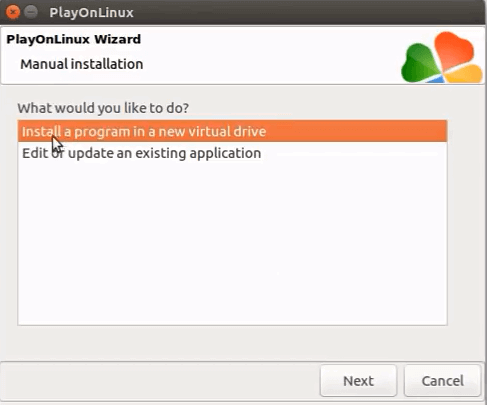 If you have properly followed all the steps listed above then you must have already installed playonlinux on your system along with the latest version of Wine. Now it’s playing time, so let’s install one of my favorite game (Mirror’s Edge) on Ubuntu and in order to do so you will need to follow the steps listed below. 1. 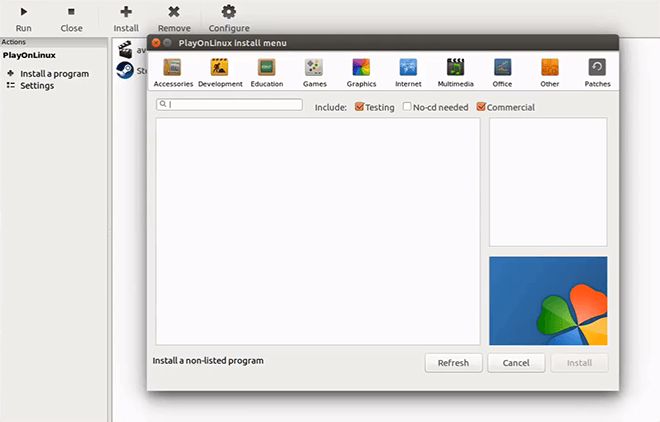 Launch playonlinux. In case you don’t find the shortcut menu link, open your terminal and then type of application name and hit the enter button. 2. On the right-hand side, you will find an option named “install a program”, click on it. Now from the pop-up page select “install a non-listed program”. 3. Then keep on clicking “next” button unless you get an option where it says “Manual Installation”. 4. Now again click on “Next” button and then select the “install a program in a new virtual drive” option. 6. Enter the name of your virtual drive. It can be anything like mehgameplayzone. 7. Select all the three option which you will find on next screen and then click on Next button. Now let the application configure your virtual drive. 8. Select whatever Wine version you have installed and select “64-bit Windows installation” on the next screen. and configure Wine environment in the way you want. 9. On the next screen, you will see a list of drivers which can be installed by just clicking on them. You need to find and select the following drivers to play Mirror’s Edge game. Remember that every game will have its own requirements. You can find all the required driver list from WineHQ page. Let’s say you want to install Crysis 3. You can find all its requirements by just searching “Crysis 3 WineHQ” on google. 10. After all the drivers are installed, you will get the option to browse the setup file. Just navigate to the appropriate folder and select the setup file of the game and done. 11. Once setup completes you will get the option to create shortcut link of your game. You must create one and then exit. 12.Before starting any game make sure to enable Mouse wrap override, otherwise, you will see weird cursor movements while playing your game. 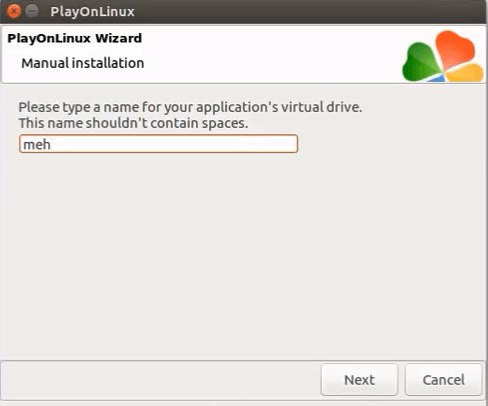 To enable this option, you will first need to open “Playonlinux”. Then you need to click on “Configure” button. Then select the virtual drive you created, in our case, it was “mehgameplayzone”. You need to now click on “Miscellaneous” tab and then under “mouse warp override” option select “enable” option. 10. Now play the game you want. Enjoy. Compatibility with Linux for Windows games is never guaranteed entirely. Steps and the process listed in this guide should at least give you a good start when it comes to playing games on Linux platforms. By any mean, if you ever run into trouble, thankfully there is a large, or at least vocal and vibrant community of Linux gamers out there to help with technical issues and share thoughts on what it’s like to run favorite titles on a non-Windows platform. It takes a little more effort, but for those of you who really want to be free of Microsoft’s policy and wanna save a few bucks, this experience might be positively liberating.